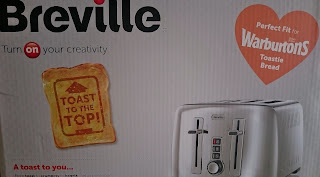 Breville have now designed a new toaster with Warburtons bread in mind, no longer will you have to turn your toast half way through cooking. 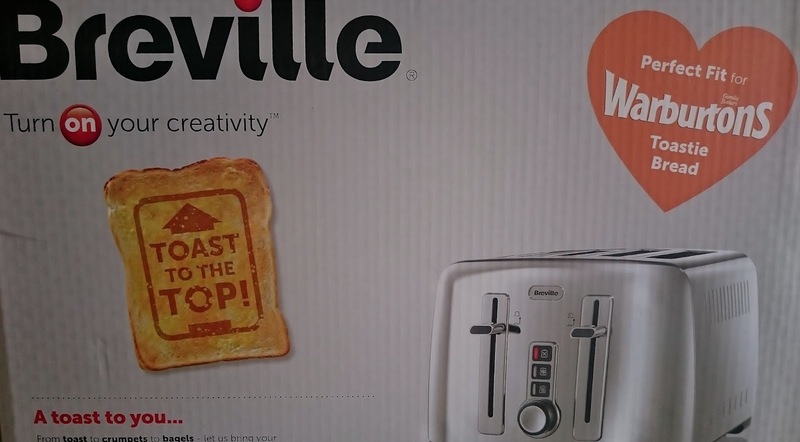 The slots on the new toaster are deeper which means no white bits at the top of the toast and with variable controls you can have your toast the shade you like it. It also has a unique Lift & View facility which does not interrupt the cooking cycle and allows you to check on the cooking progress, along with defrost and cancel buttons. 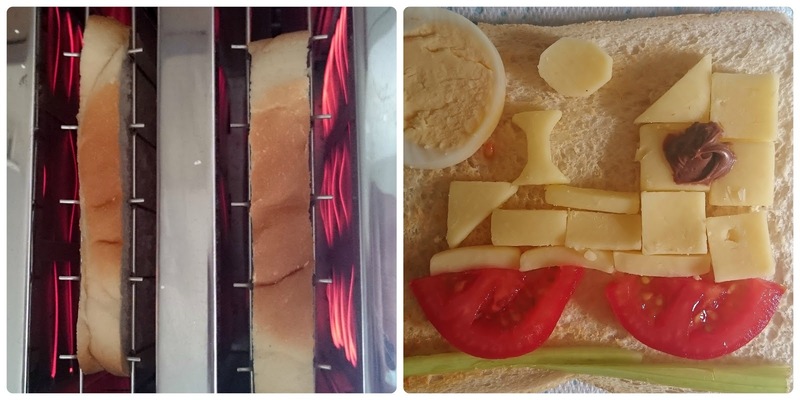 Grotbags has been practising some artwork on her toast, by simply adding tomato, celery, egg and cheese shapes she came up with a steam engine, it's surprising what you can add to liven up your bread, although I prefer mine with lots of lurpak (which is very naughty). We had a fabulous time trying out the new toaster, small things make me happy (sad I know) but having perfectly toasted bread as to be one of life's treasures.